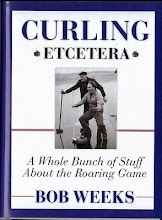 There was some sad news yesterday when the curling world learned of the passing of Keith “Wheels” Reilly. He'd been in the hospital for some time. Reilly also became an exceptional coach, guiding many top teams. 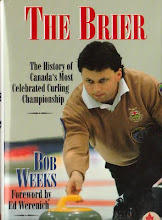 He led Alison Goring’s rink to the 1990 Scotties Tournament of Hearts title. And made his mark as an umpire, where he was on the scene at Briers, Scotties, world championships and just about every other major event you can name. Reilly also was a champion of change. I remember him telling me how the governing bodies weren't giving any opportunity to new officials to break into the game. The OCA would put people through courses, charging them for that, but then just use the same people time and time again. I had many great chats with Reilly over the years, usually at big events where he would give me many great scoops that became stories. He also just loved to talk about the game and would tell you why certain players weren’t performing well technically or why events weren’t running well. He just seemed to have his finger on the pulse of everything. Deep down, it was very obvious that Reilly loved the game, loved being a part of it and loved giving back to it. I will truly miss his friendship. 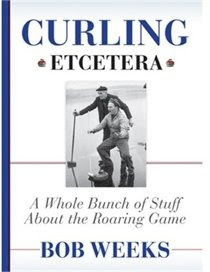 Who is the best curling analyst on TV?